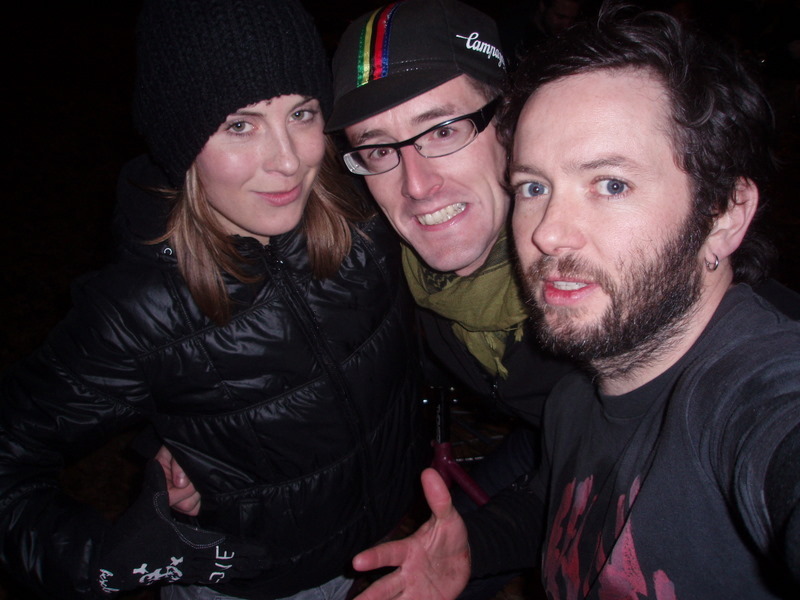 I wrote some stuff about the weekend’s shennanigans here on my Charge blog. It was really good fun apart from I hurt a lot now. I fell on my face and got a black eye and my neck is really hurting. It feels like I was headbanging all night! It turns out it was a bad night for accidents – I keep hearing about friends of mine who hurt themselves too. Oh dear. I think maybe some of the problems started when Team Megatron, pictured below, entered the team beer sprints. The first person had to neck a beer then sprint round someone standing at the end of the park and back. Second person then chugged their first beer, did the same and tagged the third person who cracked open theirs. Then you had to do the whole thing again. We got second and drank some more beer to celebrate…. I think Ian had to walk home. For some reason I was still standing at 7am the next morning. But only just. 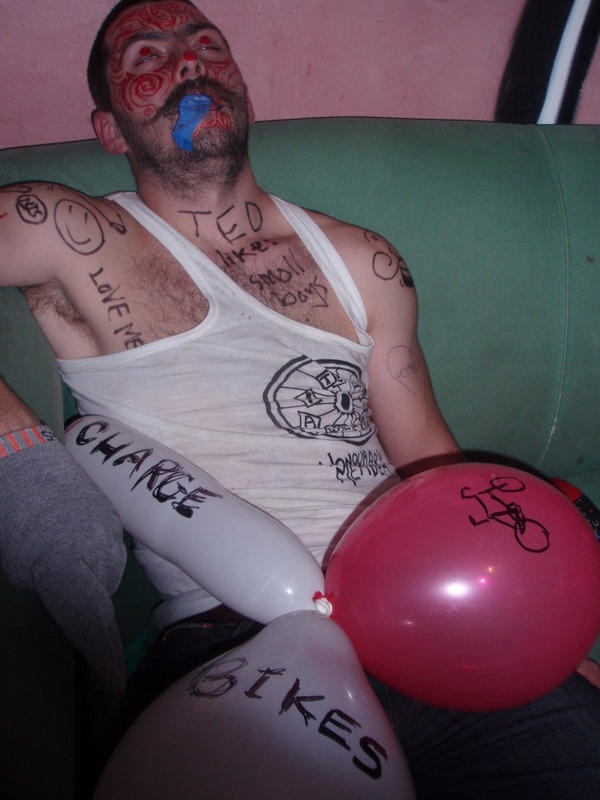 Superdrunkted made an apprearance and passed out for several hours. Hahaha!